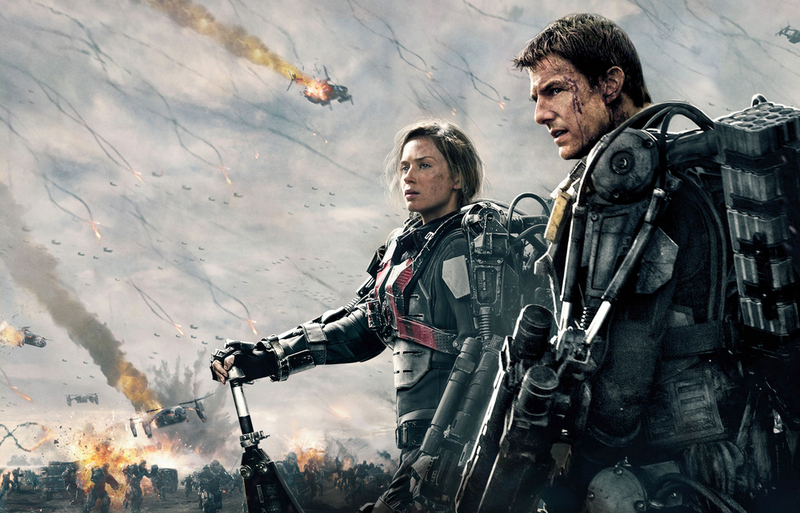 Edge of Tomorrow is about conformity. Cage (Tom Cruise) is a worm. Who thought he could trick blackmail a general (who was in turn using Cage as pre-emptive scapegoat) into escaping combat duty. What happens next forces him to fully materialize, more than general wished, the generals desire to send another soldier into combat. Once in the combat zone Cage kills a super-alien that drips magic time traveling blood and convenient plot devices on his face, melting it. Boom! Cage is in a time loop. Forced to conform beyond expectation to the military’s code of conduct. 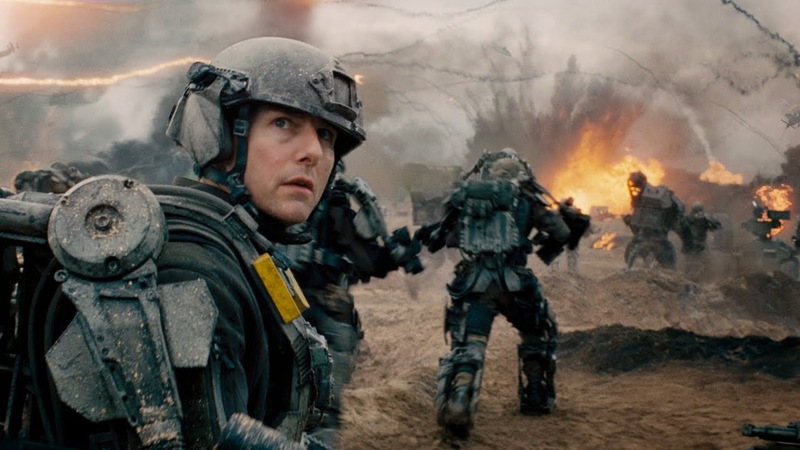 The Edge of Tomorrow is about Cage’s journey from soulless lemming to soulful lemming. In the end, Cage shows us the trap of the individualistic hero who only serves the purpose of reconfirming what society already believes. Cage is an American military officer whose primary duty is to get public buy in on a mechanized battle suit and a D-day like invasion. Rather than Nazis, Europe has been captured by an alien race. The film begins with a meeting between Cage and the British general in charge of the invasion. Unbeknownst to Cage, the general is meeting with him in order to volunteer Cage into the front lines of the invasion. Cage tries to weasel out of his patriotic duty by arguing that he is just a public relations person, and not really a solider. When this argument fails, Cage attempts to blackmail the General. As Cage is making his way out of the office, the General shouts for soldiers to arrest Cage. Cage is tazored and wakes up on a military base. So begins the time loop. Waking up at a military base, Cage is tossed in an infantry division, and dropped into a war zone the following day. As foreshadowed, Cage is a proper fool at operating the battle suit. Stumbling along the beachhead as his co-patriots are eviscerated, squashed and exploded, a large alien attacks him, he shoots, and the aliens blood splatters on his face melting it. Jarringly, the film cuts to the moment where Cage is waking up at the military base. Shocked, Cage repeats the previous day and subsequently dies. Attempting to learn from the mistakes of his previous lives he makes different choices slightly changing pattern of vents but ultimately failing. Cage eventually, enlists the help of a famous female soldier who makes it known that she had been trapped in a similar time loop. In fact, the time loop was the reason why she became a hero. The two hatch a plan to take down a network node behind enemy lines that controls the alien invaders. When are first introduced to Cage he is a talking head on a television screen promoting the nobility of the military and its effectiveness as killing machines. Ironically citing Rita’s (Emily Blunt) experience in the time loop as a grand victory for the allied forces against the aliens. Let’s take a look at this heroism. Cage is a worm. A public relations expert and a coward. When he becomes trapped in the military bureaucracy his first instinct is to manipulate his commanding officer in order to secure a way out of the infantry. As the time loops progress Cage develops personal confidence by training himself to become an effective killing machine. This process, while necessary for the development of the plot is also a transition into conformity. Cage is becoming what the military wants him to be, what the General knows he’s not, and what he never wanted to become; a grunt. Like, nearly all individualistic hero stories Cage’s journey nobility wrapped in a lie. If you have ever experienced boot camp, you will remember exercising while screaming something patriotic. While in the Navy, I have distinct memories of screaming “Honor” “courage” and “commitment” while doing push ups with my division. On the face, exercising is a difficult process that individuals must push through in order to reach achievements. By losing weight or gaining muscle we show to our self and reconfirm the energy we put into the activity. Commitment to the project. Honor to our way of life. Courage to push through pain. Under the surface, this ritual of patriotism is a process of social acculturation. By conforming and unifying a collective's values a system creates subjective and interpersonal controls in a group. My individual actions and thoughts are self-judged for conformity with the collective’s values. Acting according to these values publicly reconfirms their importance, and regulates the behavior of my co-patriots. As I perform my duty collectively in the public sphere I regulate a normative behavior that can be observed by myself, my co-patriots and the hierarchy. Cage’s journey begins from the outside. He is a-typical soldier. An officer who does not possess the skills and training of his hierarchical disposition. Even after Cage realizes that he is trapped in a situation where conformity to the hierarchy is a necessary component to his potential survival, he resists by trying to manipulate the hierarchy to give in to his wishes or intellectualize thought combat. If I get to the fat man before he is crushed then many this will compensate for my incapacity to fit into the machine? Let’s saw into the parallel between the opposing forces. On the one hand, is the all too familiar military hierarchy of orders and compliance. On the other is a networked system where individual combat units are orchestrated by a controlling alien unit. The controlling units are in turn controlled by a central server. At first glance, these two networks of power would seem to overlap. The alien is in a sense a mirror image of the military hierarchy. Collective decisions are controlled at central points. The more powerful delegating to the less powerful. Commands are sent and followed. The difference here is twofold: the aliens are free from ideology and individuation. Unlike the allied forces who through the use of hero worship, war time propaganda and ideological disciplines the alien force functions more like a parasite. The aliens are rising to their evolutionary call to gather the resources that most effectively lead to the passing of their genetic material to future generations. The aliens here do not need rational justifications in the same way humans do. Their “attack” is not rooted in an ideological footing. The aliens are an organic variable in nature. A big fish eating a smaller fish because it was hungry and because it could. The human race on the other hand needs to moralize its enemy. To assume its evilness so that the righteousness of our war can be transcendentally justified. Rather, then a war for the survival of humanity as a species of among species, we are a species made out of special stuff destined to be more than just an existent. War propaganda works in this moralization process. Cage is just some schmuck trapped in a time loop trapped inside of a war. His ethical bases are utilitarian and pragmatic. After his public relations firm tanks, he put his talents to ideological use in order to moralize a plant so that they will jump into war. The irony of course is that Cage doesn’t really care about the alien invasion with the same passionate authenticity that he demonstrates as a talking head during an interview. What the time loop does is force Cage to realign his morality so that it is in tune with his public persona. Equalizing what he says and what he does. 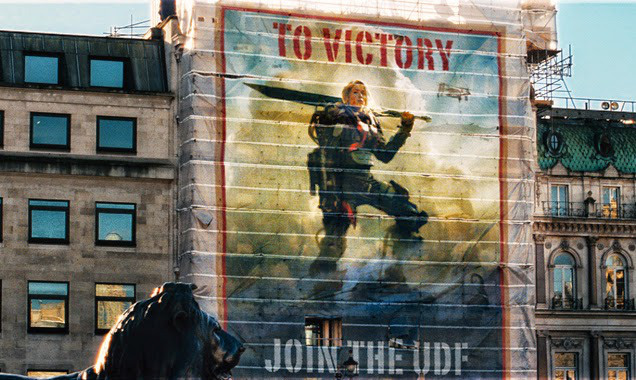 What The Edge Of Tomorrow show us is how this ideological brainwashing is necessarily mystified by American values. The individual hero, whom is innately endowed with a more-human-then-human capacity to act out of and protect capitalist values. Rather than just another grunt in the war machine, the hero stands out like a sore thumb, Christ-like. An individual to aspire that acts as a moral rallying point for a nations values. But what is the hero really? An empty spectacle. A narrative spun for the sole purpose of inspiring and controlling the public’s morality. And through their morality their behavior. Let us saw into the two hero’s in The Edge of Tomorrow. 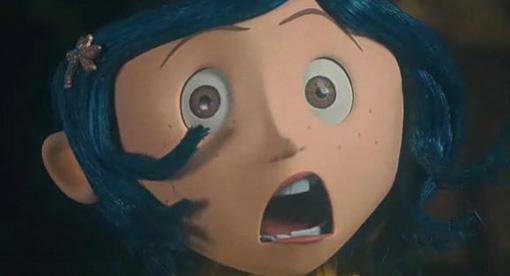 The first is Rita, who was previously trapped in a time loop and became the mythic hero – The Angel of Verdun. As was Rita alludes to, she went on a similar journey as Cage. Beginning as just some schmuck in the military machine she used the time granted to her by the time loop to train herself into an effective warrior. Then, as she repeated the day again and again mastered the enemy movement and timed her way to gracefully conquer the battlefield. Like Cage’s journey to do the same, conquering the battlefield has more similarities with a scripted ballet than a battlefield. Combat is chaos, unpredictable, and free from foresight. We may have a gist of the general direction of the enemy, but we do not have foreknowledge of exact spatial mapping. And even if we did, physics is a good with a pair of dice. What this means is that Rita’s heroic narrative is empty. Her story is not about the innate capacities of the battle suit, and how it gives normal solders extraordinary capacities or of the more than human hero, demonstrating her special stuff, but of a woman who earned her heroism. But of course, if the reality of her story was made public it would challenge her capacity to act as a moral rallying point. The second hero is Cage, who followed a similar path as Rita by becoming what he need to be to rise above the obstacles put in from of him. 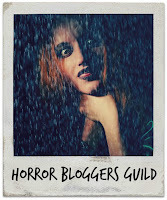 Unlike Rita’s journey, Cage’s story is fully embodied in the narrative. We see his trials and tribulations as struggles to survive the day. Beginning as a pathetic worm trying to malinger and manipulate his way out of combat duty, he shows to others and himself that he is just a figurehead. Pure representation without substance. Cage’s journey is one where he gives content to his subjectivity. Transforming from soulless lemming to soulful lemming fully bought into the master's discourse.